In large skillet heat 1/3 cup extra virgin coconut oil; stir in 4 cloves garlic, chopped, 2 bay leaves, and 1 teaspoon Tabasco pepper sauce. 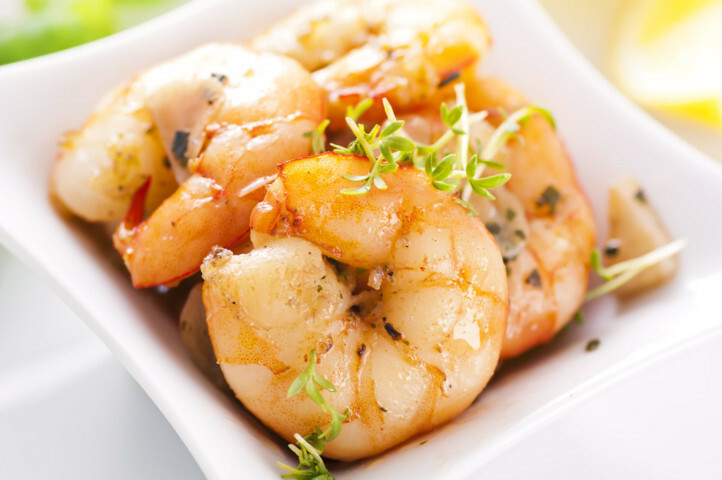 When garlic sizzles, add 1 pound medium-sized, raw, cleaned shrimp. Stir-fry until shrimp are pink (about 3 minutes).